Here comes the major news for the film. Baahubali , the most eagerly awaited premium product of Tollywood, is by far the costliest movies made in the Telugu film industry. This film could proudly say that it has the biggest-ever indoor set erected so far in whole of Asia and incidentally it is the costliest individual set. This set was erected in Ramoji Film City. 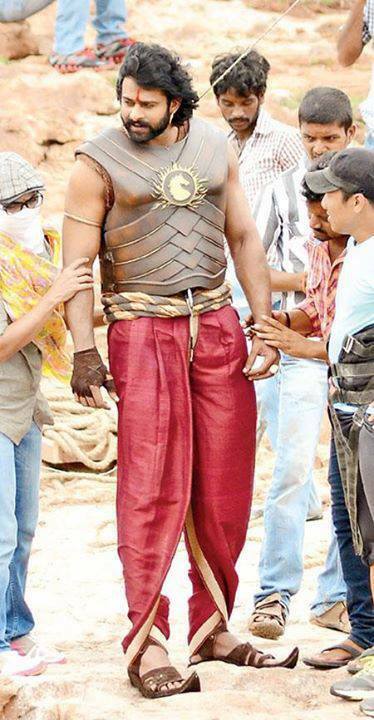 Earlier Rajamouli erected biggest set for Yamadonga, now he repeated same here. Second schedule of Baahubali starts from today in this special set and this schedule is said to be a major part for he film. Anushka playing female lead with Prabhas. Rana playing crucial role , Sudeep also playing a prominent role. Shobu Yarlagadda producing this flick under Aarka media banner. Keeravani composing tunes for this flick.